West Virginia will send six players to the NFL Combine. Will Grier, David Sills, David Long, Yodny Cajuste, Gary Jennings and Trevon Wesco. Grier is projected to go in the second or third round, but a first round appearance is not out of the question if he blows away the combine. His lack of plus arm strength and tendency to turn the ball over is what is currently keeping him out of the first round. Sills is projected to go in the second or third round as well. Despite limited time as a receiver, Sills is a very strong route runner. He has good size and it will be interesting to see how he does in the 40 time as he is trying to get to the top of the second round. Long is projected to go between the third and fifth rounds. He was a playmaker on the West Virginia defense. What is keeping him out of the first couple rounds is his size as he is listed at 5’11”. Mountaineer fans know he is a great tackler who is able to shed blockers and make plays in the backfield. Cajuste stabilized the Mountaineer offensive line at left tackle. He is projected to go somewhere between the third and fifth rounds. Cajuste is projected as a starting left tackle and would fare well in a power rushing attack. He has good measurables at 6’5″ 315 pounds and plus athleticism. Jennings is projected to go somewhere between the third and fifth rounds. 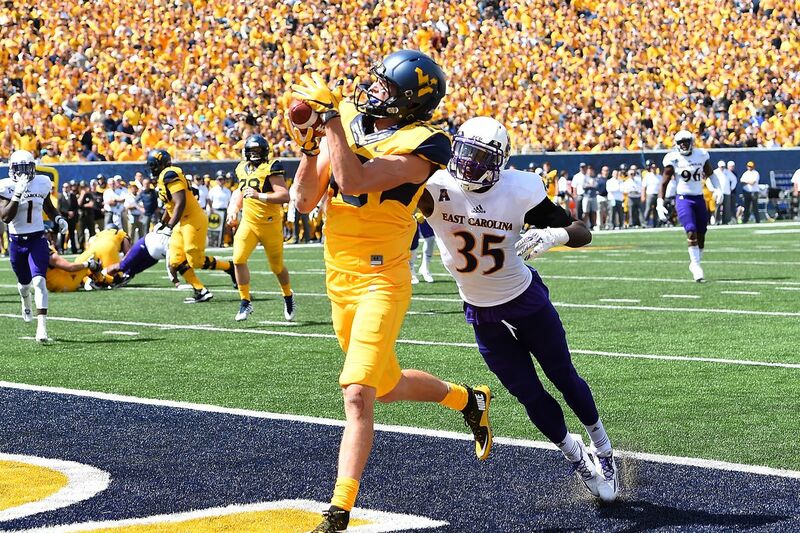 The Mountaineer receiver made play after play in Dana Holgorsen’s offense. Jennings is a receiver that can get deep and could really benefit from a fast 40 time at the combine. Wesco is projected to go in the seventh round or as an undrafted free agent. While he didn’t make an impact until his senior season, he did a great job of giving Will Grier a security blanket down the middle of the field. With good size and agility, Wesco could rocket up draft boards with a good performance in the combine. The NFL Combine is from February 26 to March 4 and the NFL Draft is from Thursday April 25 to Saturday April 27. The Mountaineers should be well-represented in the draft and with some good performances at the combine could see some appearances in the top two rounds.